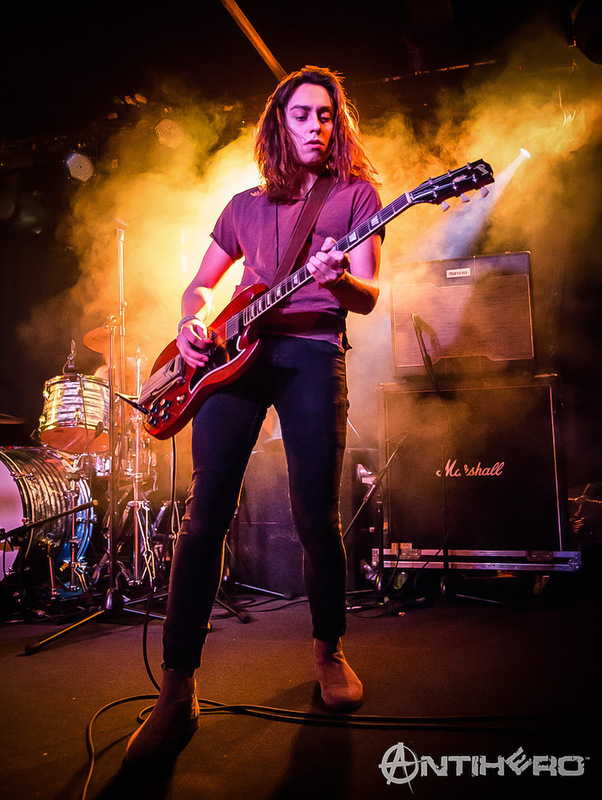 Michigan-based classic rockers Greta Van Fleet stun Manchester with their retro-rock sound and quality musicianship. Greta Van Fleet exploded onto the scene last summer with their debut four-track EP Black Smoke Rising, and subsequently have been making waves on both sides of the Atlantic. The band’s first single “Highway Tune” has been hugely successful online, having already achieved over 12 million views on YouTube since its release. Public Enemy once said, “Don’t believe the hype”, but if we do in this case, then Greta Van Fleet are arguably one of the most exciting new bands we’ve come across in a very long time. I was keen to get along to the show and see if indeed they truly lived up to their billing. Following a couple of select shows last September, the band have returned to the UK as part of their first full headline tour on this side of the pond. Tonight, they arrive at the largest of the Academy venues in Manchester city centre. Such was the buzz already created for them that the venue had to be upgraded by several notches to facilitate the demand for tickets. First on stage, however, are a band totally new to me, The Second Sons. 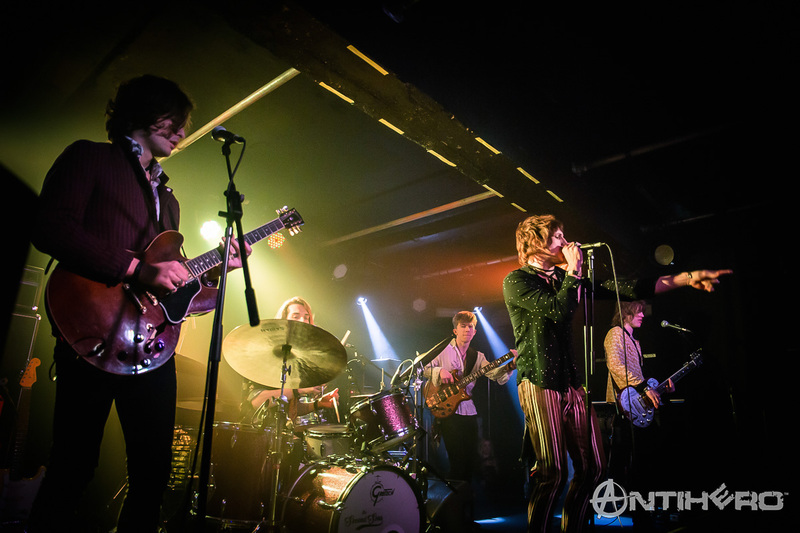 London-based, their sound is also deeply rooted in another era, with tips of their musical hats to The Faces and the Rolling Stones. Frontman Nick in shades of Jagger-esque stage mannerisms, covered all the stage as his effortless manner quickly engaged with a sold-out audience. The band won over quite a few new fans through the high quality of their song material and proved an entertaining introduction ahead of the much-awaited headliners. I would recommend checking out this exciting new band and look forward to their next Manchester visit in a headlining capacity. Following just a quick changeover and just slightly later than billed, Greta Van Fleet kicked off with “Highway Tune”. It was instantly noticeable that the extraordinary vocals of Josh Kiszka were not solely down to studio trickery, as he effortlessly produced all the vocal gymnastics that even surpassed the studio version. To date, Greta Van Fleet have just released two EPs, so I was curious as to how they would do with only that amount of material available to play a full headlining set. They managed to deliver a set that included a few instrumental solos that delivered entertainment and interest, but at the same time were not unduly overlong which would have led to distraction and apathy. There was a slight element of nervousness present from vocalist Josh, but considering his age, I guess we can understand that. All that was blown away as the band stormed through a blinding set of their entire musical catalogue to date. Halfway through, the band took it down sonically as bassist Sam Kiszka assumed keyboard duties for “You’re the One” before the band drove straight into a powerful version of Howling Wolf’s “Evil”. Certainly, they have sounds of another classic rock band stamped all over them. However, there is certainly no denying their musical ability and talent. Let’s face it if its just a simple task of replication, then many others would have tried over the years. It certainly ensured short-lived success for Kingdom Come in the eighties. The challenge for Greta Van Fleet is to now move on and establish their own musical identity which will make the world sit up and take notice. It’s not enough for them to be an identical replica of another band, but they need to create their own sound and style. The task which lies ahead for Greta Van Fleet is for people to identify them on their own strengths and not just view them as riding on the coattails of another band’s individuality and unique soundscape.